With Valentines Day around the corner, you might surely be thinking about ways of doing something different for your partner. The experts at OnlineDatingAdvice.info suggest a few innovative yet inexpensive ways of adding the oomph factor this Valentines Day. Attach a $100 bill to a Victoria’s Secret catalog, along with a naughty note saying “The choice is yours”. Visit a Karaoke bar and sing his/her favorite romantic song. You don’t have to be a professional singer to sing a few lines. Purchase a lottery ticket and give it to your partner with a little note saying “I hit the jackpot the day I met you”. Make a customized ‘thank you’ certificate to show how much your partner means to you. Here are a few suggestions: ‘The world’s best girlfriend’, ‘For all the hugs and kissed that go beyond the call of duty’. Call a local radio station and request a special romantic song to be dedicated to him/her. Make sure she is listening. You wouldn’t want to waste the effort, would you? 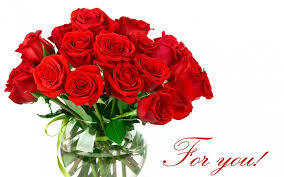 Pick a dozen red roses and give it to her along with a note describing how important your partner is to you. Write a romantic, heartfelt and passionate love letter and read it over dinner. You could also record it and set it as her alarm tone. She’d love the surprise. For those who are still in search of their perfect partner, check out this list of the best online dating sites on the market. So, what are you waiting for? Start your preparations today! Also Read: 10 Ways to make your partner’s valentines day better.